With the grace and elegance of a waterfall these unique Aurora Borealis Elk Antler Chandeliers take on a nontraditional appearance. At home in a contemporary setting as well as a rustic one. With the grace and elegance of a waterfall these unique Aurora Borealis Elk Antler Chandeliers take on a nontraditional appearance. At home in a contemporary setting as well as a rustic one. 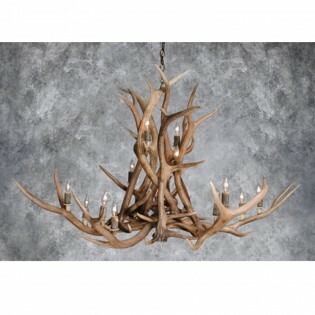 Each antler chandelier is internally wired with all UL approved components and made in the USA.